It is no secret that there is more to any building than its constituent materials—especially commercial structures. This is immediately (and inconveniently) obvious to anyone who has ever been stuck in a lift or worked on a hot afternoon in a building where the air conditioning has broken down. Barmco Mana McMurray puts a high priority on ensuring that all building services provide quality, innovative and reliable services in all their projects. 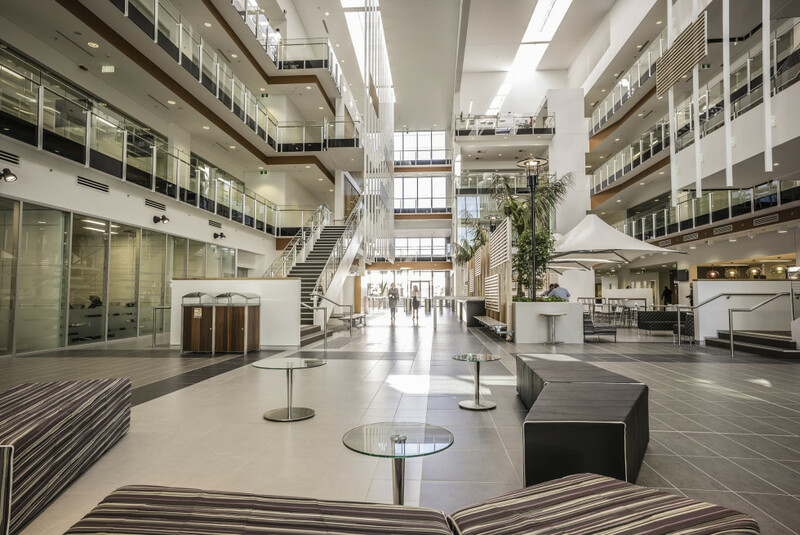 With this in mind, and with a desire to foster innovation in construction practice in the ACT region and beyond, BMM is delighted to be part of the TechLauncher initiative at the ANU with its involvement in the Integrated Building Services Network Development. TechLauncher is an ANU initiative which enables students from any discipline to develop the research and professional skills required to use technology to bring great ideas to life and have a positive impact on our society. Students will develop these skills by working closely with industry professionals, technology experts and entrepreneurs to complete projects addressing complex problems across a variety of disciplines and industries. Students are given the choice to create start-up software companies whilst guided by experienced industry mentors, or to work with industry professionals on real-world projects. Through the Integrated Building Services Network proposal with TechLauncher BMM hopes that innovations in consolidation and streamlining of IT controls for all facets of building services will be developed. Buildings are integrated ‘products’, delivering outcomes to both owner and tenants. However, building services (communications, energy, lifts, fire services, heating/air conditioning, lighting, security and plumbing) are dependent on each other to meet the client’s overall objectives and from that perspective should be addressed as a single entity. Typically, all building services have separate control and monitoring systems; separate on-premises hardware and servers run discrete networks. It can be challenging to ensure that separate services work together to meet the building owner’s/tenant’s expectations. BMM is a leader in this area, having already integrated services onto a single ethernet-based services network. But BMM is committed to a path of innovation and regards the TechLauncher program as an ideal way to explore new and emerging technologies in building services while involving the next generation of IT specialists and business leaders, at the same time with an eye to putting Canberra on the cutting edge of best practice in what is a global industry. One possible outcome of the proposal is one of the first, cloud-based building management service. Unlike most ICT platforms, buildings measure life expectancy in decades. By hosting services management externally, systems can be upgraded continually according to current software standards, mitigating the need to upgrade on-premises infrastructure/software. Specifically, the project envisages a prototype that brings some or all of the disparate systems onto one single integrated network, with a modular architecture that allows services and features to be added as desired in an overarching remote management system. Students at the ANU College of Engineering & Computer Sciences (CECS) would focus on the architecture and developing the prototype while students at the College of Business and Economics (CBE) would develop a communications strategy and produce marketing material for key market segments, arranging briefings with industry and government under the guidance and direction of BMM. Hands-on opportunity to see software and hardware used in the ‘real world’, where they influence the comfort, security and safety of people at work and at home. The opportunity to research current technology trends and apply them as practical solutions, developing high-level system architectures that integrate servers, sensors, remotely controlled devices, storage, networks and software. Valuable exposure to the industry as it operates now and the chance to influence how it operates into the future. Experience in designing a ‘real’ marketing campaign that ‘pitches’ a new concept to a profit-driven industry with multiple stakeholders from the public and private sectors, including building owners, building developers, facility managers, building occupants and service contractors. The possibility of marketing a successful project beyond Canberra—even globally. An opportunity to learn more about both the IT and building services industries. Practical and genuine work opportunities for students. Good opportunity to build/further relationships with the local building services and IT industries. Potential innovations to offer clients in its specialty area. Links with new generation of IT specialists and new trends in IT. Contributes to its motto and ethos of “Pursuing Engineering Excellence”. Building services innovation—a good prototype has enormous beneficial potential. IT innovation and training is currently a key industry issue. Improved communication with any IT-‘sceptic’ stakeholders. Potential for national and export marketing of a successful prototype.